After a few years’ break Community Advent Windows are back! They give you the chance to have a walk each day through December to see individually decorated windows as they light up. This can be done any way you wish, some people go day by day as they light up from December 1 or some have a tour around them all once they are lit after December 24. The windows are being lit from 4.30pm until 9pm and your last chance to see them will be Thursday January 3. There is no competition this year but each window will contain a letter which when put together make a greeting. 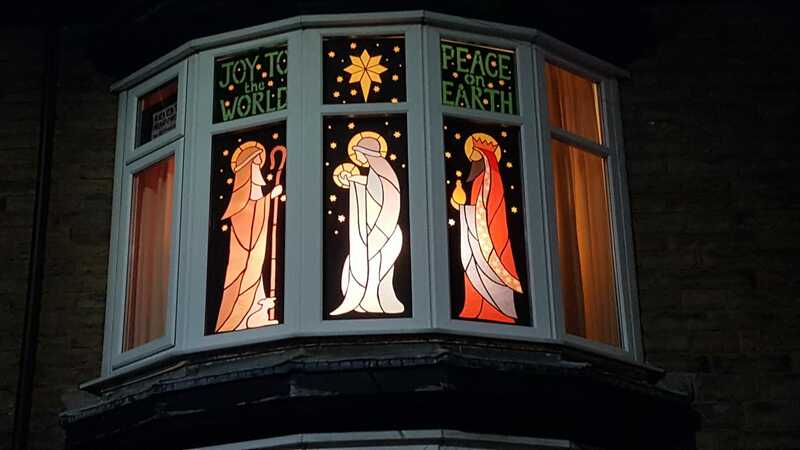 We do hope you have a happy and peaceful Christmas and that the windows are part of your enjoyment. All the windows are in S8. The addresses and days they light up are detailed below.